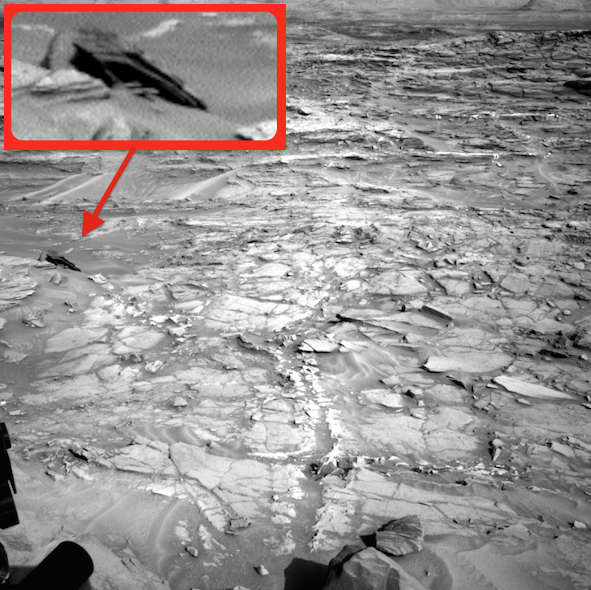 UFO SIGHTINGS DAILY: Curiosity Rover Takes Photo Of Crashed Ship On Mars, Aug 24, 2015, UFO Sighting News. 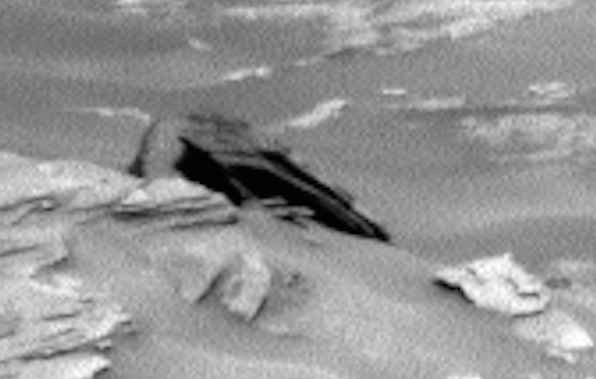 Curiosity Rover Takes Photo Of Crashed Ship On Mars, Aug 24, 2015, UFO Sighting News. Updated: Aug 28, 2015- We got on CNN With This Post! I found this anomaly in the latest Curiosity Rover photo. The black object looks like a crashed UFO. The craft is only about 2.5-3 meters across, so it probably only held a few passengers. Since many of the figures we found on Mars are about 5-8 cm tall, then we can conclude that his ship could carry about 20-40 passengers. There is only one photo of the ship. The rover usually takes many of each area, but not this one. Perhaps tomorrow it will take more.